Fate Grand Order Anastasia Nikolaevna Romanova, Noble Phantasm, Skills, Team, Craft Essence, Servants to Work With. 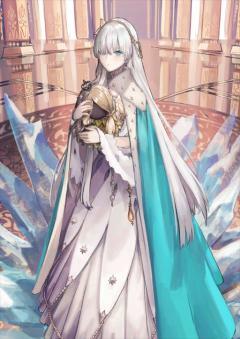 Anastasia Nikolaevna Romanov is currently unavailable on the Global ver. Anastasia is nothing short of incredible, and is close to being an absolute all-rounder--- she’s able to fit well in most teams, especially Arts ones, and simultaneously deal damage, aid her team’s survival, and counter a few gimmicks from the enemy. In fact, the only thing that prevents her from being all-out gamebreaking would be perhaps the fact that her class hinders her overall damage potential. Anastasia is almost overwhelming, to be completely honest. Not only does she bear a considerable amount offensive potential, but she also has a large amount of utility due to the number of useful tools she has on her kit. Let’s go over it in detail. One might say that her damage potential isn’t that big due to her Arts buff lasting only for a turn, but one has to remember that her ATK up lasts for 3, and that her NP also decreases DEF. This means that her damage can actually grow stronger as she uses her NP even more. Aside from her damage, Anastasia is also able to aid her team’s survival and counter a few gimmicks with some utility on her kit. Her ATK down can come in handy when stacked along with many other Arts Servants, as it would further weaken enemy attacks against the team. She’s also able to pierce Invincible for a turn, as well as skill seals and inflict stun. Her debuffs’ hit rate can also be further enhanced by her passive increase in Debuff success rate, and by her debuff resistance down debuff. It’s quite amazing to see all this in one kit, and Anastasia being an Arts Servant makes it even more worthwhile. As an Arts Servant she would be able to naturally fit into Arts teams that can benefit or add on her kit’s effects. This allows her to be quite stable and consistent in her performance. In fact, there are only two notable weaknesses from her kit: one is the fact that she’s a Caster, which somewhat limits her overall damage potential due to their 0.9x class multiplier. The other is the fact that with the amount of effects packed on to her kit, it can be somewhat difficult to benefit from them all at the same time. Sometimes there might be instances where one would have to sacrifice an effect for the other, or time your usages with utterly absurd accuracy so as not to waste anything. Still, the queen does bring a lot to the table, and she does so without being hampered too much by any visible demerits or the like. The Queen of Ice is quite a wonderful addition to the pool of SSR Casters, and she’s one of the few who are truly able to let go of their class’s stigma. Anastasia deals quite average NP damage, hitting 20,907.9 damage against all enemies at NP1. While the damage may be somewhat mediocre, its effects are not. It seals all enemies’ skills for a turn, and casts a decrease in DEF for 3 turns. It is also an Arts card that hits for 4 times, which can help Anastasia recharge her gauge for a small amount. With her potential in using this NP often, she can somewhat mitigate her low damage by hitting multiple times, sealing enemy skills and debuffing their defenses once again in the process. It’s quite a useful tool, truly. Hans Christian Andersen Hans is able to provide Anastasia with ATK ups to improve her damage. He’s also able to stack his DEF ups with her ATK down and grant her healing to improve her survival. Zhuge Liang Waver is able to stack ATK up, DEF up, and DEF down with Anastasia’s own effects, improving the team’s survival and damage altogether. He’s also able to improve her NP spam potential by charging her NP gauge directly. Tamamo no Mae Tamamo is able to buff Anastasia’s Arts cards, improving her damage and potential for NP spam. She’s also able to use her NP to heal her, while simultaneously reducing her skills’ cooldowns and charging her NP gauge. Gilgamesh (Caster) Gilgamesh is able to buff Anastasia’ Arts and Attack, granting her more potential for damage. He’s also able to grant the team a 100% increase in stargen, giving Anastasia even more chances to charge her NP quickly by using crits. Gilgamesh is also able to buff her DEF and debuff the enemies’ further stacking with Anastasia’s own skills. An increase in NP damage gives Anastasia another multiplier to improve her damage potential, especially with her great overall NP gain. OTMA When equipped on Anastasia, Increase Arts Card performance of all allies by 10% and NP damage by 10% while on the field. This skill serves as Anastasia’s main modifier for damage. A 50% maximum increase in Arts performance grants her not only an increase in damage, but an increase in her NP gain. The Ignore Invulnerable also acts as a way to prevent any dodge or Invulnerability buffs from hampering her damage. The decrease in debuff resistance goes for a mighty 100%, which can also be very useful in countering enemies that sport high debuff resistance. Still, due to the fact that it’s also locked with Anastasia’s main damage buff, it can be somewhat difficult to use in tandem with other debuffs, as it would be hard to time properly for most of the time. Still, with its short cooldown of 5 turns, one can expect it to be usable often. An 20% increase in ATK goes well with her Arts buff to improve her damage. It also stacks with her NP’s DEF debuff, granting her team a 40% increase in damage if used together. It also has the great bonus of applying an ATK down to all enemies, which also maxes at 20%. It’s small, but it can go a long way with the right allies, especially since it can activated for 60% of the time she’s in the field. With the ability to increase her NP gauge, Anastasia backs up her potential in spamming her NP more. Especially since it maxes at 50% at level 10. The stun chance maxes at 60%, but it is actually boosted by her passive to 70%. Furthermore, her 1st skill can also allow it to hit with 170% chance overall. Still, because of the fact that it’s bundled with her NP charge skill, it can be somewhat difficult to benefit from both effects at the same time, especially since it has a somewhat long cooldown. A QAAAB deck grants Anastasia much splashability and consistency. It lets her charge her NP rather quickly, and grants her the ability to perform Arts chains with her allies.